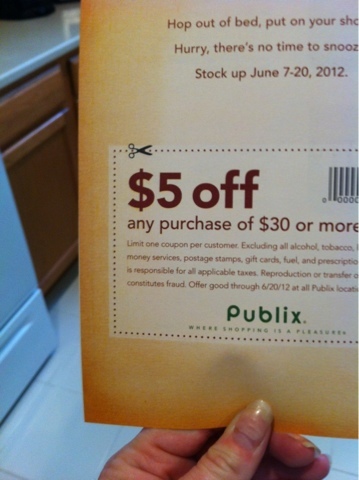 This week is the Publix Breakfast sale and many of you may have found a $5/$30 Publix coupon in your papers today. It was on the back of a yellow booklet promoting the breakfast sale. Didn't find the coupon or want another one? Visit my giveaway of them! I don't buy a ton of breakfast foods so we will be stocking up on some good deals on refrigerated and frozen things this week. Makes them .40 cents each! Tons of new Coupon Network Coupons Here too!